Yesterday Bill and I celebrated Valentine’s Day by going to morning Ash Wednesday Mass which included receiving ashes on our foreheads, and then eating a decidedly un-Valentiney lunch (at least for Bill) of fish tacos. Not eating meat on Ash Wednesday and every Friday during Lent is absolutely no sacrifice for me. However, Bill struggles a bit more with the no-meat thing. He did seem, however, to enjoy his fish tacos. He announced Tuesday night that he was giving up sweets for Lent. Now THAT, my friends, is big for him. His enormous sweet tooth will make that a sacrifice, indeed. Every year after Bill and I receive our ashes, we disagree on how long to wait before we wash our face. In elementary school, I was instructed that I should proudly wear the ashes all day long, thereby proclaiming my love of God and willingness to sacrifice. Bill always removes his ashes immediately, citing the gospel in which Jesus tells us not to be like the hypocrites who act like they’re holy but aren’t. Yesterday I found myself agreeing with Bill. In the Gospel from Matthew, Jesus said, “But when you fast, anoint your head and WASH YOUR FACE, so that you may not appear to be fasting, except to your Father who is hidden.” Boom. I promptly washed my face when I got home. After eating dinner last week at the German restaurant, I have been craving sausage. I ordered (and ate) the knackwurst and it was delicious. 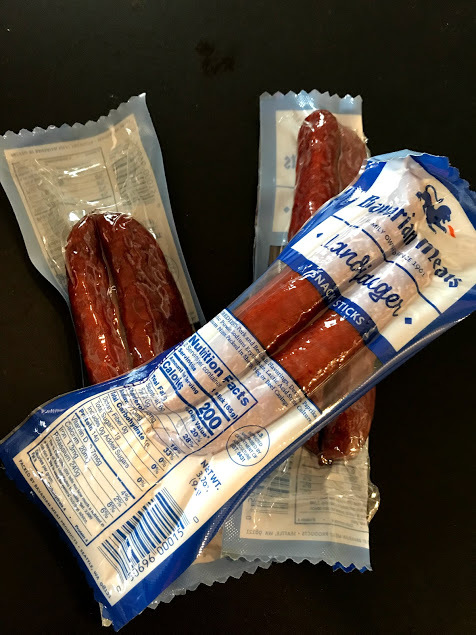 But my favorite sausage (well, next to bratwursts, which will always be my MOST favorite) is landjaeger, a sausage with the texture of a hard salami. I began thinking about where I could find landjaeger. Suddenly it occurred to me that you can get anything from Amazon. Sure enough, they had landjaeger. I ordered it, and thanks to my Amazon Prime membership, received the sausages yesterday. I wanted to tear them open immediately, but see above. Ash Wednesday. I will indulge later today, with my Dad watching me from heaven….. The other thing that I ordered was one of those cool laser thermometers. Usually Bill is the one who orders cool high-tech things, but I take full credit for this particular item. My oven at our AZ house is highly unreliable, and I read on the internet (so you KNOW it’s true) that those laser thermometers are the most accurate way to know how hot your oven is. We’ll see. I just finished a very good book entitled The Woman in the Window, which I will review soon. As part of the plot, the main character watches old movies, and they are described in great detail. In particular, the author talked about a movie entitled Laura, starring Gene Tierney, Clifton Webb, Dana Andrews, and Vincent Price. I had never heard of it, and learned from Wikipedia that it had been named as one of the top 10 mystery movies by American Film Institute. I checked the public library, and sure enough, they had a copy available. I watched it on Tuesday. I really enjoyed it, mostly because I really love old movies. 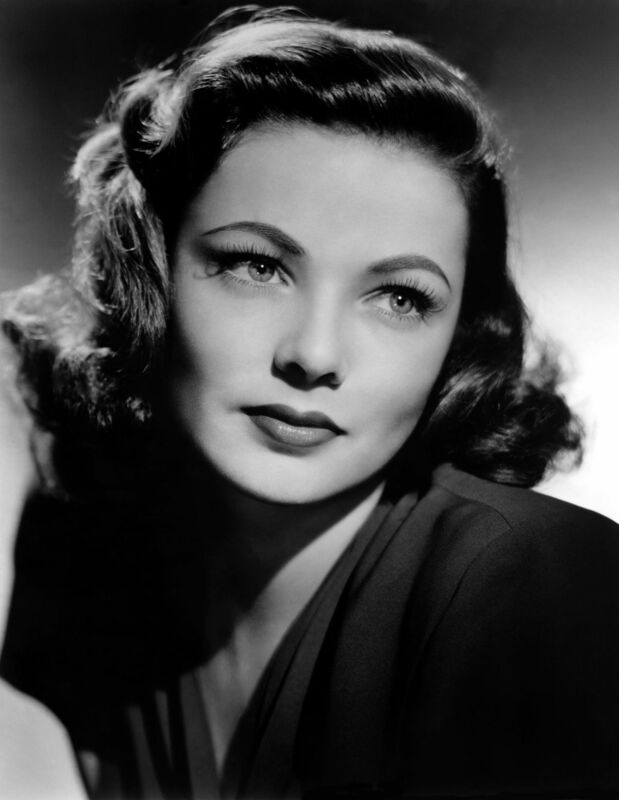 But Gene Tierney, an actress with whom I was unfamiliar, was exceptionally beautiful and reminded me of my mother…..
Vincent Price, however, has the worst southern accent I have ever heard. « Can I Help You With That? I must watch that movie…..